A Tokyo-based venture firm has started accepting orders for a laundry-folding robot to be priced at around ¥2 million. 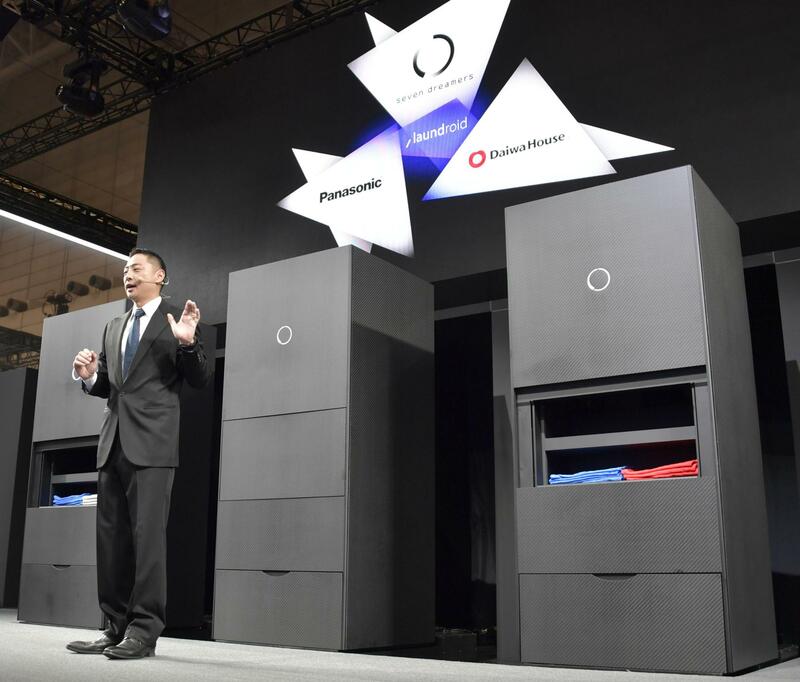 Seven Dreamers Laboratories Inc. said the refrigerator-size robot named “Laundroid” uses image analysis and artificial intelligence to recognizes the shape and type of clothing and then folds clothes with its built-in arms accordingly. The model is 2.2 meters high, 87 cm high and 63 cm in depth. Its surface includes tempered glass on the front and wooden panels on the sides, giving it the appearance of a piece of furniture. All users have to do is throw dry clothes into a opened drawer in the lowest part of the machine and the robot will do the rest. Laundroid will fold clothes before sorting them out appropriately into mid-section shelves — even into separate shelves for different members of a family. Up to about 30 pieces of clothing can be handled at one time and the folding process takes between five minutes to 12 minutes per piece, according to the company. Seven Dreamers began developing a laundry-folding robot in 2005. 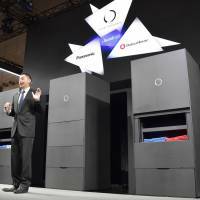 It decided to launch the new model after successfully taking orders for all 100 units of a more expensive model, priced at ¥2.7 million, between last October and March. robots, laundry, Seven Dreamers Laboratories Inc.